Can all things work for your good? Is it possible for God to use bad situations for your good? The problem that came your way is not the end of the matter. God has another plan for it. This article is to share how God can use an undesirable situation in your life to make life desirable for you. And we know that all things work together for good to them that love God, to them who are the called according to his purpose - Romans 8:28 (KJV). This is God's promise in His word and He is a covenant keeping God (Psalm 89:34). What He says He means and does. God is able to make all things work for good for you! Some people may wonder if an individual is suffering for his/her sins, how God can use the consequences for his/her good. Others may say Christianity is not that simple. But the truth remains that God is greater than our conscience (1 John 3:20) and always has a plan B to execute if we will allow Him. Truly, you will suffer for your error but what the enemy planned to destroy you, God can use to make you. The book of 2 Kings 4 tells a story of a Shunammite woman whose son died and God brought him back to life by the hands of Elisha. And in 2 Kings 8, years after, God used the same death of her son (that the enemy planned to destroy her joy) to still bless her. The King restored her house and land to her when he heard the story of how Elisha restored her son to life. Also, the books of Matthew 26 and Luke 7 tell the story of the woman with the alabaster box who poured the ointment on Jesus' feet. In Luke 7:37 she was called a sinner but in Matthew 26:13, Jesus declared that she will forever be remembered for her action wherever the gospel is preached in the whole world. This is happening till today. I am even mentioning her in this article. Furthermore, from the above foundational requirements, you can take some steps to ensure that all things work for good for you. 1. Confess your sins - if the situation is as a result of what you did wrong, there is need to obtain forgiveness from God (1 John 1:9). Un-confessed sin is a hindrance to your progress. 2. Surrender the situation to God - hand over that challenge to Jesus (Matthew 11:28). Drop it at His feet and carry it no more. 4. Listen for instructions - God will always relate His plan B in our hearts (Isaiah 30:21). So listen for the next step to take. Now, the story of Nick Vujicic (The man born without arms or limbs) is a contemporary example of God making all things work together for good. The summary of his story is "from life without limbs to life without limits" He surrendered his disability to God and God used it for His own glory and at the same time glorified Nick. I also remember the academic challenge I had in my first year in the university. My method of studying that year backfired on me. But I followed the steps I gave above and God turned it around for my good. Not only did I graduate when I was supposed to with a good grade, I built up a close relationship with God. In addition, now I can comfort and counsel anyone with such challenge successful. We have other testimonies that have occurred all around us. For instance, people who lost their jobs but started their own businesses and today they are earning much more than what they were earning before. Or people who suffered from terminal sickness but today their lives are great encouragement to multitudes. Also, we have former addicts who are using their stories to help others. The list can go on and on. God has not changed. What He did for others He will do for you. 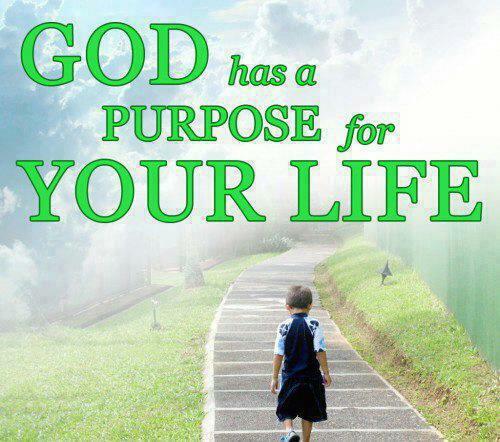 Surely, all things work together for good to them that love God, to them who are the called according to his purpose.